The Workshops on “Sustainability of Food, Commercial and Production Models“, which took place under the BOND project, in Convento de S. Francisco, Coimbra (Portugal), on April 15, were held with great enthusiasm and with good participation. The workshops had as themes “Short Circuits”, “Public Procurement” and “Organizational Models” and aroused great interest in the many participants who envisioned in the discussion of these concrete themes ways to achieve positive results for their farms and for their agricultural activity. 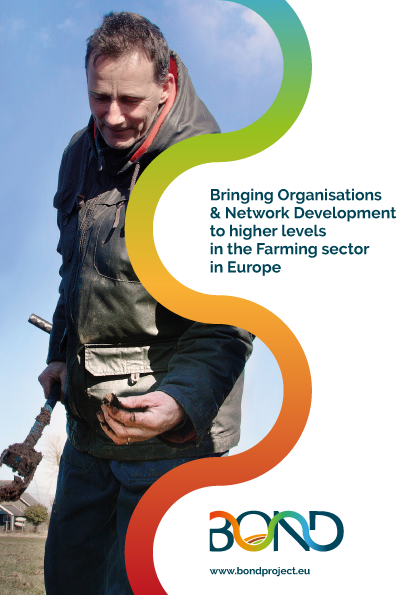 As one of BOND’s objectives is the creation of stronger organizations and networks and a more sustainable, more productive and harmonious agricultural sector in Europe in the long term, it is important to link up with the initiatives planned and under way in Portugal to achieve these goals. In the context of the CNA’s proposal to create a “Portuguese Family Farming Statute” and the Government’s subsequent proposal for a “Family Farming Statute”, it is very important to discuss what public policies are necessary to discriminate positively Family Farmers who will have this status. Discussing the issues of short circuits, public procurement and organizational models is of great importance for solving one of the biggest problems of Family Agriculture and that is access to markets and fair prices. And precisely because these are the greatest difficulties experienced in the farms, the atmosphere around the workshops was extremely participative. In the moments that followed the speakers’ presentations, Farmers, leaders of farmers’ organizations, consumers … there were many who posed questions and contributed to the debate. And they even had the opportunity to spend some time in all the workshops, in fact because the themes intertwine with one another in the objective of improving access to markets and solve the problems of disposal of the products. There were excellent presentations of the guest speakers. Among them, to highlight the participation and sharing of the experiences lived by three of the four Portuguese participants in the study tours made under the BOND project, to visit successful stories in Europe. Experiences from which learnings have started to be shared in these workshops and that we want to follow up on our activities and the initiatives to be carried out within the scope of the project. Also noteworthy were the presence in the audience of these workshops of guest as the Chief of the FAO Office in Portugal and the Portuguese Speaking Community of Portuguese Speaking Countries (CPLP), Francisco Sarmento; the Regional Director of Agriculture and Fisheries of the Center, Adelina Martins; Joana Dias, of the Civil Society Mechanism at the CPLP Food and Nutrition Security Council; representatives of parliamentary groups; regional councillors, colleagues from other organizations such as COAG, SLG (also partner in BOND), among other foreign delegations. After the workshops, the participants met at the Plenary of the 8th Congress of the CNA and the Portuguese Family Agriculture, where a summary of the debates was presented. It should be recalled that these workshops were held as a parallel event to the 8th Congress of the CNA and the Portuguese Family Agriculture – in the year when CNA celebrates its 40th anniversary, which brought together over 1200 Delegates, Farmers coming from North to South of the country – several institutional guests and national and foreign organizations. The guests were the Minister of Agriculture, Forestry and Rural Development; the Secretary of State for Forestry and Rural Development; a representative of the Committee on Agriculture and the Sea in the Assembly of the Republic; representatives of almost all the Parliamentary Groups of the Assembly of the Republic; representatives of State agencies; of local authorities; of similar agricultural organizations and of other sectors. Recall that BOND is a Horizon 2020 project funded by the European Union and led by the University of Coventry, UK, which CNA integrates with 16 partners from 12 European countries, with the aim to achieve higher levels of organization and networks and to develop a more sustainable agricultural sector in Europe in the long term.